Simply Organic Added To The Anniversary Prize! It's time to announce another prize in this month's 1st Year Anniversary giveaway! Last summer I spent a month focusing on a number of natural and organic products on my blog, and one of the companies included was Simply Organic. They were kind enough to offer me full sized bottles of their Everyday Shampoo and their Everyday Conditioner (retail value of $58.00 for the set) to include as a prize for my blog's anniversary giveaway. I have used their products and although they are a bit pricey, they are excellent. If you check out their web site, you can see the ingredients for many of the products. These are recommended for all hair types, and they are very gentle, but very effective. They did a wonderful job of getting my hair extremely clean, while leaving it soft, shiny and manageable. They not only target the hair, but act as a treatment for the scalp as well. If you'd like to enter the 1st Anniversary contest, all you need to do is be a follower of some sort, and send me an eMail with the words "Happy Anniversary" in the subject line. One winner will receive a virtual prize basket valued at over $400.00. "Virtual" because some of the products will be sent to you directly from the manufacturer, while others have already been sent to me, so I'll forward them on. There is not actually a basket included! The prizes will all be nail and beauty products from brands that we all know and love. I'll be announcing more prizes throughout the month, and if you check the 'Anniversary Prize Sponsors' box in the upper right hand corner, you can check out the sponsors and view the prize announcement for those I've posted already. My blog is called Body & Soul~Beauty for the Body, Happiness for the Soul, so I wanted all of the prizes to be items that will make you feel and look even more beautiful on the outside, while bringing you happiness and contentment on the inside. you are so generous with all your giveaways. I really love your posts! :) thank you. Wow that's just so generous and absolutely drool-worthy! Wish wish wish! congratulations. i am joining,hope you will receive my e-mail. Another amazing gift that's added. This is really fantastic Mary. Kajsa~I thought about doing multiple winners, but then I though no, one big winner! 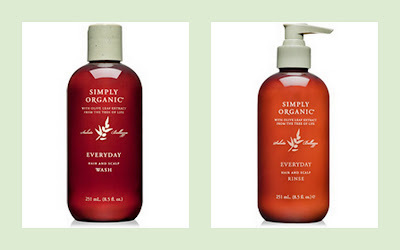 Brooke~I enjoy organic/natural products too. Glad you enjoy the giveaways! Babiesaandcontests~thanks for the follow! I received your entry. London's-beauty~I hope I'm not confusing everyone by 'adding' prizes ever week! I'll do a final post that shows everything near the end of the month. Lucy~this is such nice shampoo & conditioner. I really liked it while I was using it, but my wallet, not so much! Ha-Ha!